It's heading towards that time of year again already. Even the OH has admitted recently that the festive season is hurtling towards us far too quickly and he's not one to admit that until at least December 24th! 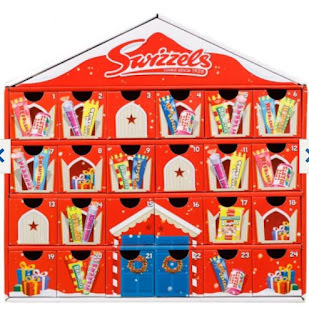 In the past few weeks I have noticed lots of brands releasing their advent calendars and as I am always on the look out for something different for the Things to open on the run up to Christmas I thought I would take a look at what advent calendars are on offer this year. Usually my children would have a chocolate advent calendar each year but in the past few years I have bought ones that have something a little different inside. Last year we had Lego, Smiggle, VTech toots toots, Yankee Candle and a charm bracelet advent calendar. 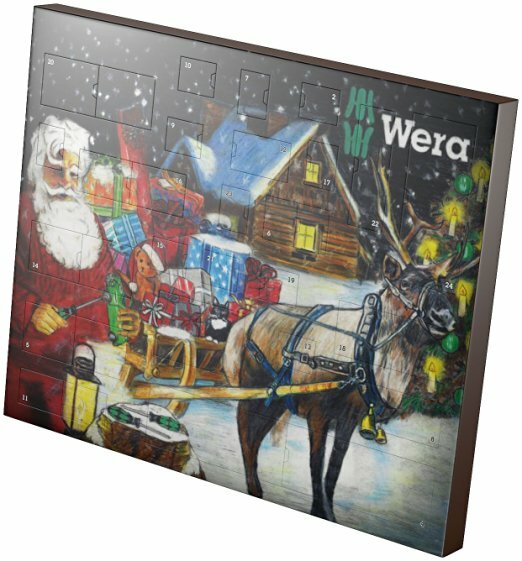 This year there seems to be more than ever on offer and so I thought I would share what advent calendars I had found online so far for all of the family. With prices from £5 up to £95 and beyond they can get quite pricey for the family but I have always incorporated the price of their advents into the budget I have set for their Christmas presents and as they are usually full of things that are useful or what they want they are left with 24 days worth of goodies unlike with a chocolate calendar! So here is what I have found on offer recently for the children and the adults too! 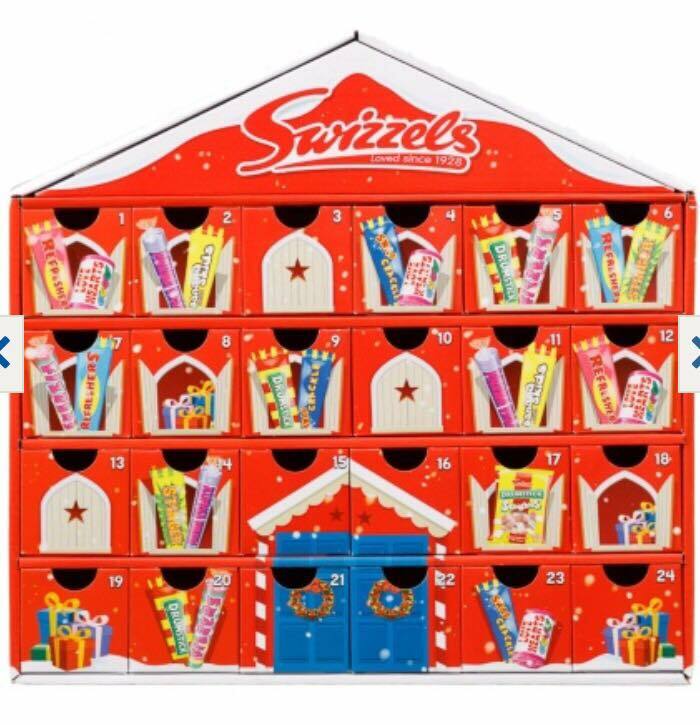 Swizzels Matlow sweet advent, exclusive to B & M stores and priced at £4.99. 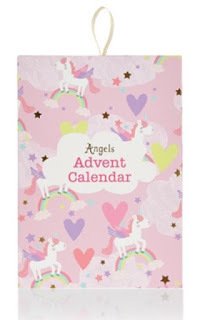 With classics such as refresher bars, parma violets, love hearts and more this is a fab advent calendar for a sweet fan. 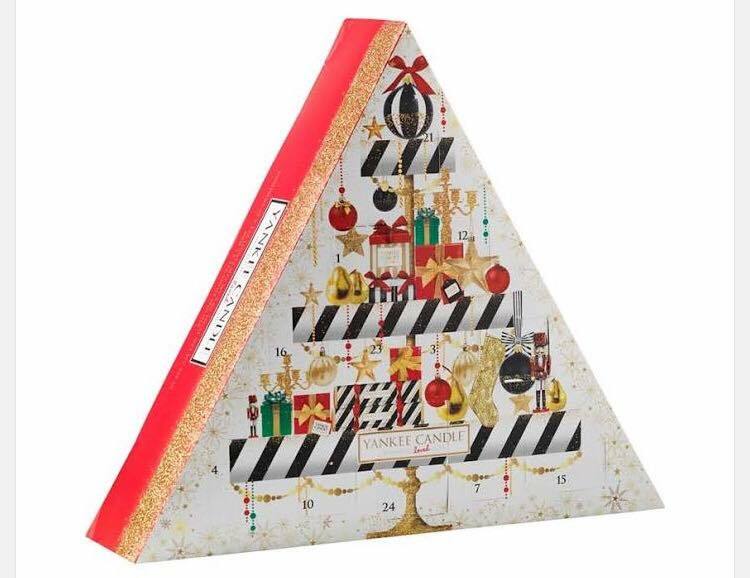 O.P.I Breakfast at Tiffany's mini mani advent calendar, found exclusive to the John Lewis website and priced at £59.95. A selection of 25 shades from OPI to suit your every mood, outfit and occasion this season. Including limited edition colours from the Breakfast At Tiffany's collection, each mini nail lacquer provides gorgeous colour with a chip-resistant formula. Contents include: Alpine Snow, Breakfast at Tiffany's, I Believe in Manicures, This Cost Me a Mint, Mod About You, Rich Girls & Po Boys, Champagne for Breakfast, Do You Lilac It?, Black Dress Not Optional, Stay Off the Lawn!, It's a Girl!, Lucky Lucky Lavender, A-Rose at Dawn...Broke by Noon, Meet My "Decorator", Apartment for Two, Five-and-Ten, Dulce de Leche, Got the Mean Reds, Fire Escape Rendezvous, I'm Not Really a Waitress, Sunrise...Bedtime!, Can't Read Without My Lipstick, Rich & Brazilian, Pompeii Purple and Miami Beet all in 3.75ml mini mani bottles. 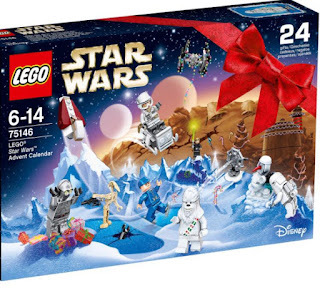 The Lego advent calendar is always popular with the children. 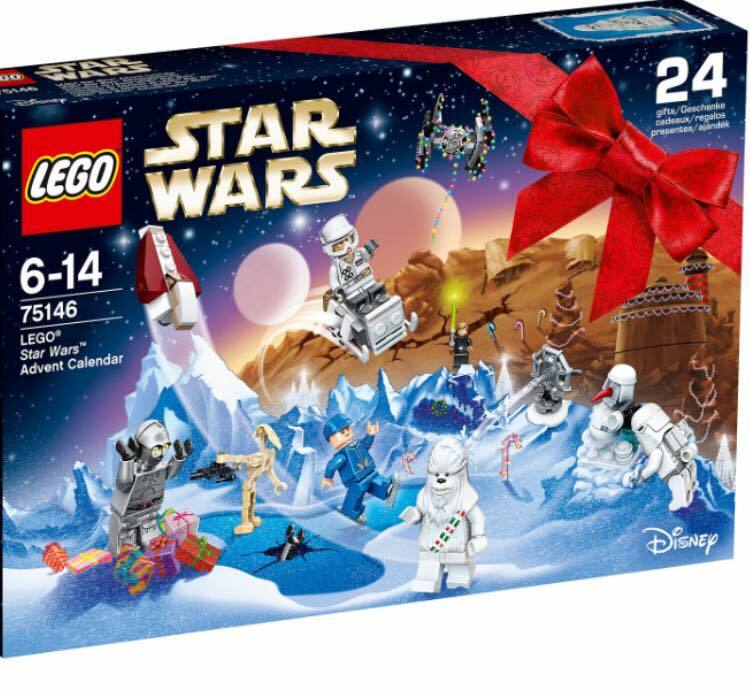 This Star Wars version is priced at £24.95 and available from many retailers both online and instore. There is also a Lego Friends and Lego City version available. 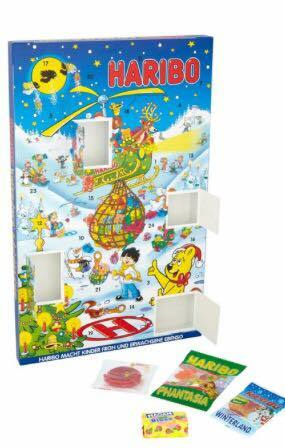 I found this Haribo advent calendar on the Ocado website, for anyone who prefers a chewy sweet rather than chocolate. Priced at £7 and with various Haribo favourites behind each window. The Vtech toot toots advent calendar. 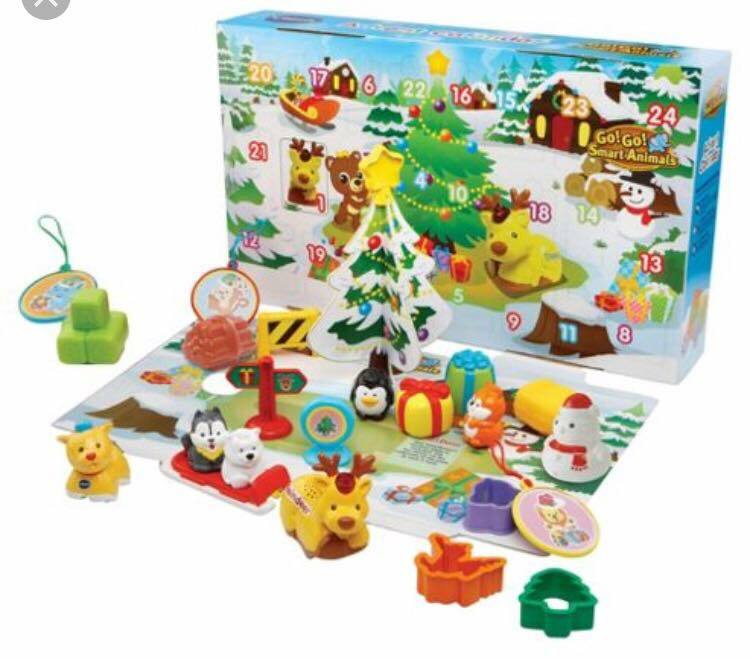 Comes with 23 plat pieces including plastic animals and festive Christmas decorations. Also comes with a toot toot animals reindeer which features 3 sing along songs and 6 melodies. Thing 5 had last years version of this calendar and then all the pieces got incorporated into his toot toots collection which he still plays with now. Clarins launched their limited edition advent calendar just yesterday and it is full of lovely Clarins goodies. The advent calendar contains 15ml Detox Booster,50ml Beauty Flash Balm, 7ml Instant Light Lip Comfort Oil, 50ml Hand Cream, 15ml Eau Dynamisante, 50ml Toning Lotion Camomille, Normal to Dry Skin, 3,7ml Blush Prodige #02, 4ml Instant Smooth Perfecting Touch, 5ml Instant Light Natural Lip perfector #01, 0,47g crayon Khol Eye Pencil, 3ml Wonder Perfect Mascara Black #01, 10ml Instant Radiance Boosting base, 10ml Instant Eye Make-up Remover, 10ml Cleansing Milk, Normal to Dry Skin, 5ml Gentle Refiner, 3ml HydraQuench Intensive Serum Bi-Phase, 5ml HydraQuench Cream Normal to Dry Skin, 3ml HydraQuench Moisture Replenishing Lip Balm, 2ml Blue Orchid Face Treatment Oil "Dehydrated Skin", 5ml One-Step Gentle Exfoliating Cleanser, Bag Accessory Leaf, Bag Accessory Macaron, Bag Accessory Flake, 3 Gift Tags. Priced at £95 with over £145 worth of Clarins products included. The Yankee Candle advent has been a favourite of mine for the past few years. Each day you get one of seven scented tea light candles and on day 24 you get a votive candle. The scents included are; All in Bright, Festive Cocktail, Christmas Cookie, Macaron Treats, Snowflake Cookie, Star Anaise & Orange, PLUS one Christmas Eve votive for number 24. Thomas and Friends have launched this new Thomas minis advent calendar. With a Thomas mini behind each day including 6 festive exclusives. Priced at £24.99 and available exclusively at Asda. 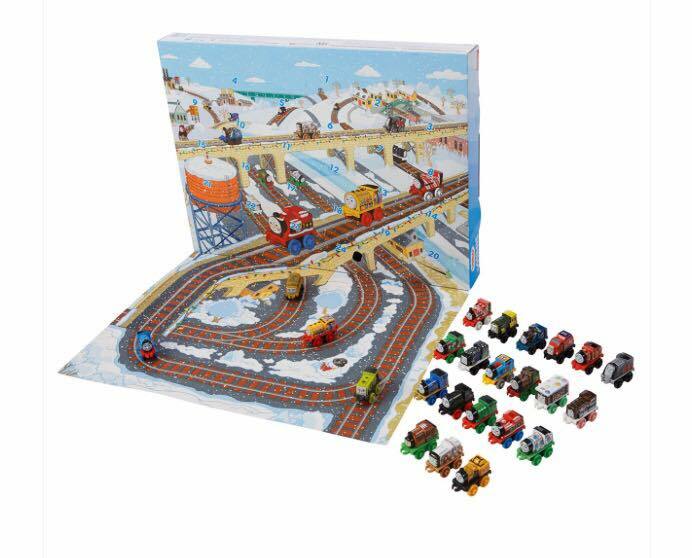 This is a great price as the Thomas Minis are £2.49 each when bought individually. 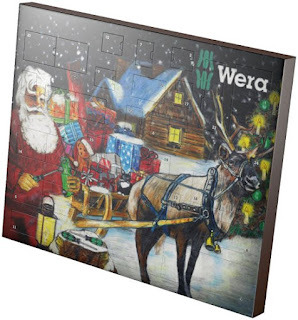 As Thing 2 and 3 get older they seem to covet the beauty and make up advent calendars! Thing 2 in particular seems to be seeking out the more expensive advents on the market but I found this one on The Works website for just £10. With a cosmetic item behind each door for the younger teens it is a great price. 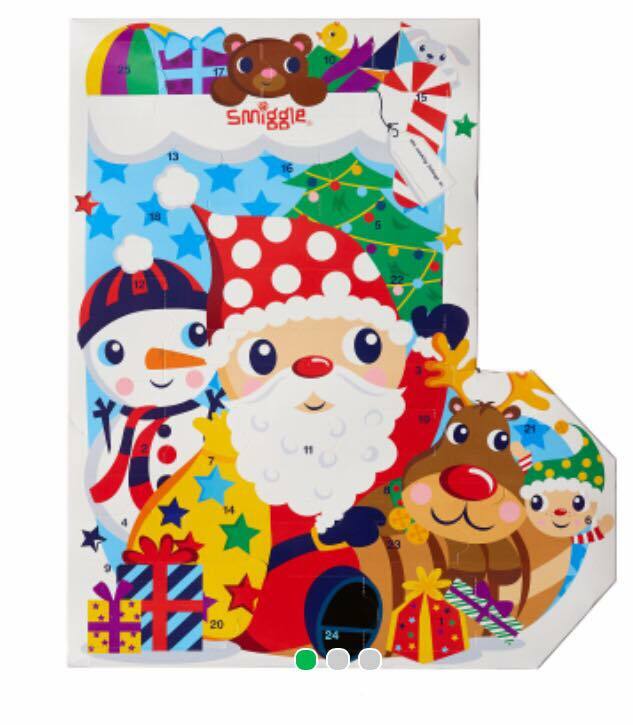 This Advent calendar contains: 2x duo eye-shadows, 1x eye-shadow brush, 1x eye-shadow sponge, 2x glitter lip gloss, 1x lip gloss brush, 2x blushers, 2x flower shaped nail varnishes, 2x mini nail varnishes, 2x pots of heart confetti, 1x sheet of nails stickers, 1x eye pencil, 1x sharpener, 3x glitters, 1x body stencil, 1x body glue, 1x sheet of gemstones. I found this fab wooden advent calendar on the Matalan website and is fab for filling with your own goodies. Priced at £20 I love the colour and design and will last for years to come as it is reusable and becomes a part of the home decoration too. 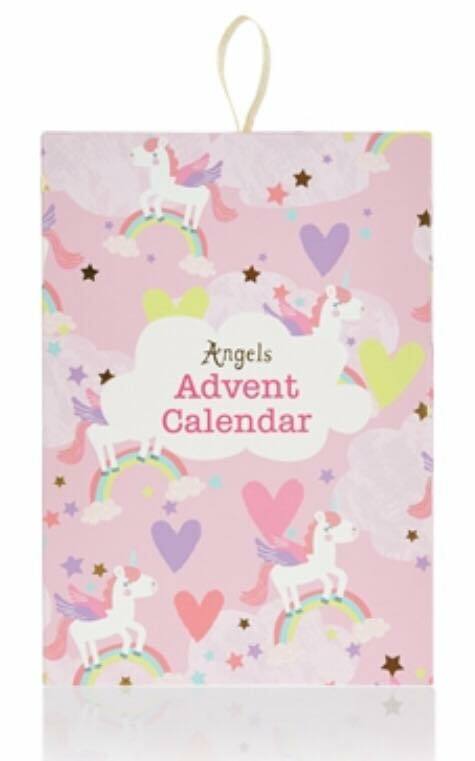 Accessorise have this fab unicorn advent calendar from their Angels collection. Packed full of stick on earrings and rings and ideal for the younger children to sparkle each day on the lead up to Christmas and priced at just £10. 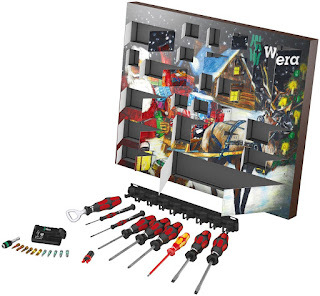 And finally for the DIY enthusiasts there is the Wera advent calendar. Priced at around £38 it will keep your toolbox stocked with screwdrivers, bits and even a bottle opener for all of your festive drinks, although please drink after you've done the DIY! 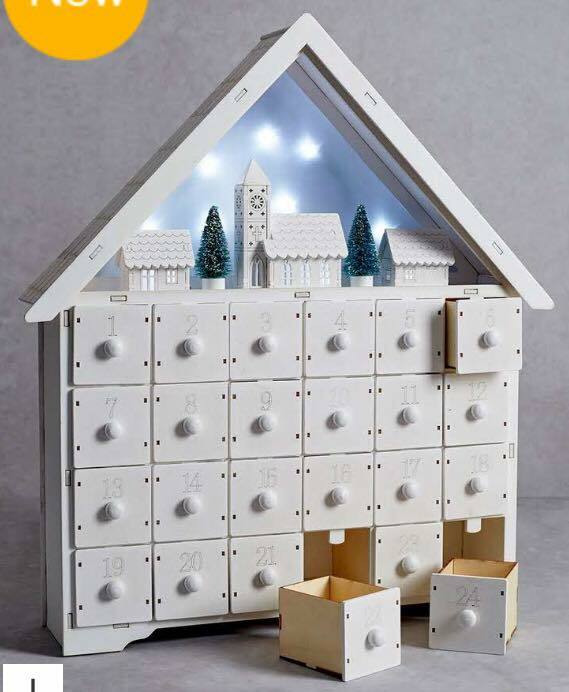 So whether you want to stick with a chocolate advent calendar or go with something a bit different, there is an advent calendar for everyone. Which would your children choose? Which one would you like to treat yourself to?